Google Now on Tap was arguably the highlight feature of Android Marshmallow. With the press of a finger, your phone or tablet would attempt to predict what you wanted to do with information available on screen. That's the glowy, abstract description anyway. What does it actually do? Well this new ad recently published to Google's YouTube channel gives a pretty clear idea. In short, Google Now on Tap saves you from copying and pasting information from one window into another. It can also reduce tedious switching back and forth between apps. Hold down the home button to see cards pop up with information relevant to the keywords that you were most likely to copy. Google Now on Tap has been around for half a year, so you would think this ad would be old by now. Perhaps it should have been. The end of the video refers to the feature as "Only on Android M." Maybe that could have helped improved the low usage numbers we saw shortly after Marshmallow's launch. Regardless, the video is here now. 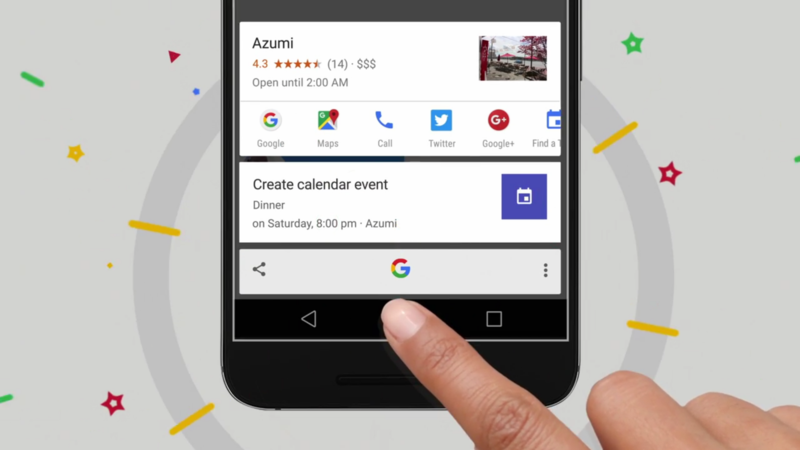 Share it with anyone who is still unclear on just what Google Now on Tap's point is.